I’m happy to report that this week at OF has been busy and good. We anticipate expanding our paddock space on the leased land beside the farm. Meanwhile, we’re already enjoying an improvement that should make tours even more fun. The path to the back of the farm has been newly graded. The smooth going not only makes chores easier, it opens better visitor access to Eclipse Award winner Hidden Lake, multiple G1 victor Affirmed Success, Secretariat’s son Tinners Way, hard-knocking veteran Mike the Spike, and all the other wonderful horses living on the back of the farm. As yet we haven’t replaced the golf cart, but we soon will. Keep your eyes open for that news. Some of our residents have switched paddocks. The one I’ll probably always think of as Sunshine Forever’s is being much appreciated by everybody’s longtime buddy Swan’s Way. Swannie loves tours, attention, and his favorite volunteer Tom. Now he’s back where he’s got more of them all. Little Silver Charm has somehow managed to supersize his paddock, or actually, temporarily trade with The Name’s Jimmy whose arthritis makes a stall and turnout in a small paddock safer for him in this slick-ground weather. Bull Inthe Heather has moved into the paddock that was Swan’s Way’s, which we hope will suit his feet and legs just right, and with the way to the back smoothed he’s still well within reach of his admirers. Or is that the other way around? Bull’s old paddock is now home to…but that would be getting ahead of myself. Because the big news, and what’s kept Michael, Tim and us volunteers scurrying, is the arrival of no less than 6 new residents in the last few weeks, 3 of them just yesterday. Rail Trip. Photo by Laura Battles. 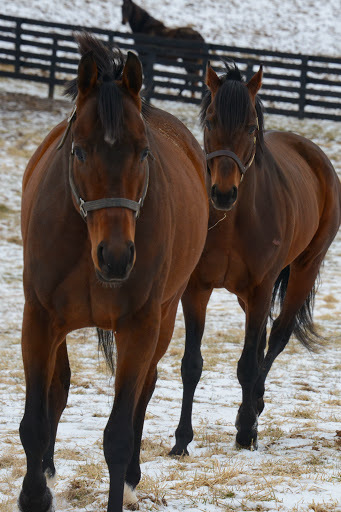 Old Friends is proud to welcome two of the stakes winning-est geldings we’ve ever had, one at each end of the racing spectrum. 9 year old Rail Trip set a track record winning the 2009 Hollywood Gold Cup (G1). This star from California also won the Californian S (G2), Mervyn Leroy (G2) and San Diego H (G2) and finished 2nd in the 2012 BC Dirt Mile. He arrived yesterday thanks to his trainer Ron Ellis and his owner Samantha Siegel and is settling in nicely. Last week saw the arrival of another multiple stakes winner who deserves enormous respect. Ohio bred Catlaunch started 107 times and won over $1 million. Right through the age of 12 he stacked up a list of Ohio stakes wins as tall as he is (and Catlaunch is very tall). He won the Babst/Palacios Memorial H and Gendelman Memorial H 4 times each, the George Lewis Memorial S 3 times and the Rowland Memorial no less than 6 times! He’s all heart and he’s sweet, too. He likes to lick faces and ears. Catlaunch. Photo by Laura Battles. Geronimo and Michael. Photo by Laura Battles. Geronimo and Areyoutalkintome accompanied Rail Trip from California. Geronimo, a 15 year old gelding, was a Chilean stakes winner who became a graded stakes winner in the US (the 2005 Morvich (G3), Kent Desormeaux up). A sprinter with a late running style, he won nearly half a million. 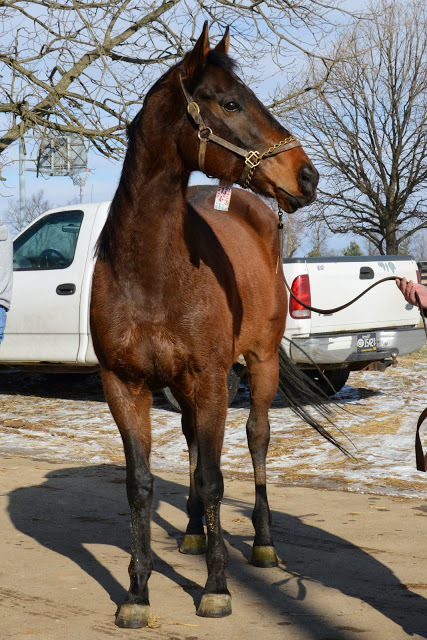 Areyoutalkintome, a 13 year old gelding, may be new on the farm, but he’s family. He’s a great-grandson of Gulch. He’s also a G3 winner (2005 el Conejo S). He preferred to be the speed in his races—where, by the way, he competed against Bluesthestandard and Bonfante. Areyoutalkintome. Photo by Laura Battles. Maybesomaybenot (front) and Bobby Sands. Photo by Laura Battles. Finally, my favorite two so far. Maybesomaybenot is so nice he’s a favorite with everyone already. He won the prestigious Sanford S for juveniles at Saratoga in 2010 racing as a homebred for the Scisney family. Maybe’s dad, Sunday Break, is in my opinion one of the best horses ever bred in Japan. Maybe is currently making friends with his new paddock buddy, Bobby Sands. They’re the ones now in what was formerly Bull Inthe Heather’s paddock. I hope I’ll be forgiven for saying the most about Johannesbourbon. Though he’s the only one of the 6 who never won a stakes race. And though at 5, he’s the baby on the farm. He even owes me $6. That’s what I bet on him in the 2012 Lexington Stakes at Keeneland where he dueled valiantly for the lead all the way around, prevailed, but tired in the last strides and was overtaken by the mob. Well, probably others who remember that race would describe the stretch run differently, but this horse was running in only his second lifetime start in a graded stakes against seasoned horses gunning for the Derby, and he came close to winning. I’d have admired that even if he hadn’t been the spit image of his sire Johannesburg. Even if his rich mahogany bay color hadn’t really been closer to his great-grandpa Ogygian’s. Johannesbourbon placed in his next stakes, but developed bad knees. 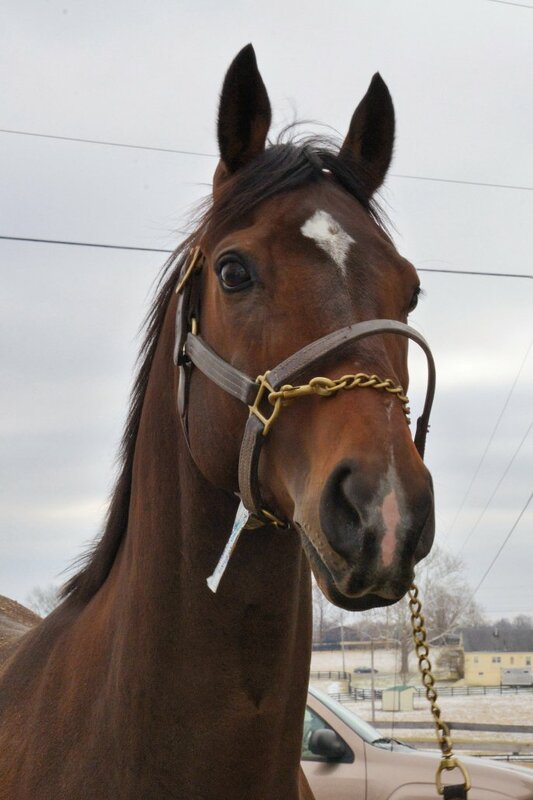 His owners, Bourbon Lane Stables, did the right thing and retired him, but later he fell into less ethical hands and this horse who should no longer race at all was running every 10 days for $2,500. His story could have been a tragedy, unnoticed as are too many of its kind. I extend my heartfelt gratitude and admiration to Bourbon Lane partner Mike McMahon for buying back Johannesbourbon and donating him to OF. If I had my way it’s the owners who do something this right who’d get the Eclipse Awards. Johannesbourbon. Photo by Laura Battles. I hope all who get a chance will come to the farm soon, meet the newcomers, and visit your old favorites. Young, middle aged and old, every one of them reminds us every day what it is to honor largeness of spirit, to open up to new relationships and experiences and to value each day with them. As you know if you follow Old Friends’ news, Sunshine Forever and Patton weren’t our only losses in these two weeks. As I wrote that entry, we hoped Dancin’ Renee’s condition was an abscess that would respond to treatment by our two Dr. Bryans. Unfortunately, Dr Bryan Waldridge and Dr. Bryan Fraley, discovered that the laminitis Renee had fought so long and bravely had reached fatal severity. Being valiant was a lifelong trait of Renee’s. 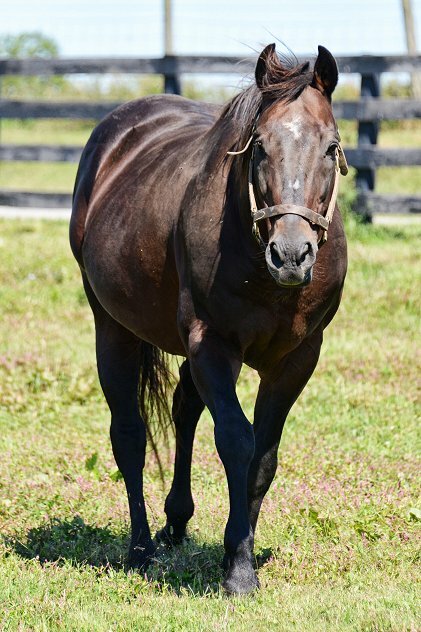 She was a graded stakes winner, with a rare 7 wins in a row, and earned the 1997 titles of New York Champion Sprinter, Champion Older Female and Horse of the Year. The day after Renee died, her daughter Risky Rachel honored her mom by winning the Minaret Stakes at Tampa Bay Downs. Every time I go into the barn or by the round pen I miss Dancin’ Renee. But I was there when she passed, and she was telling us she was ready. She was in quiet, loving company and her going was perhaps the most peaceful I have ever seen. On behalf of Old Friends, I want you to know how grateful we all are for the sympathy you have shown us during this most difficult time we have ever known. We look forward to sharing with you the happier times we trust are coming. Dancin’ Renee (1992-2014) at right, with her friend Klassy Briefcase (1985-2013). Photo by Rick Capone. The Old Friends blog returns at a moment of contradictions. On the threshold of what may be our brightest and best year yet, we are plunged into sadness. This week we have lost two of our most loved residents. On Sunday, January 5, Patton had to be euthanized because a combination of conditions were rapidly deteriorating his quality of life. 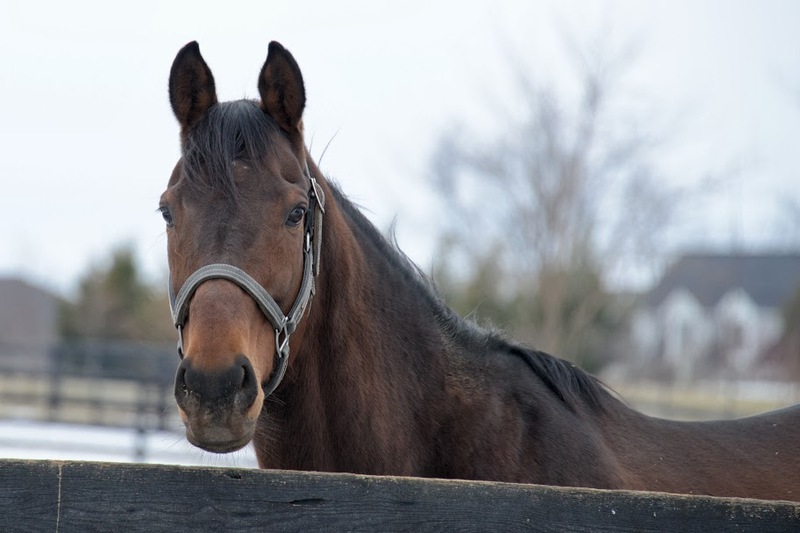 Before dawn on Tuesday, January 7, Sunshine Forever died in his paddock. Autopsy results suggest he was standing on his feet and died instantaneously of a heart attack. Patton. Photo by Laura Battles. 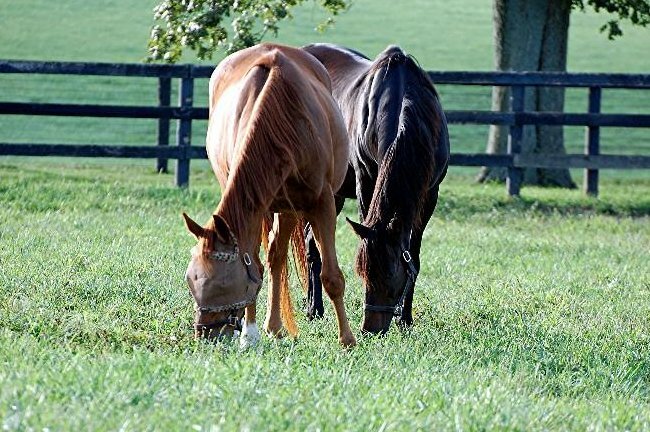 Patton was a graded stakes winner and the sire of millionaire Kelly’s Landing, accomplishments that place him in a select elite, but all who met him in retirement will remember him for his calm, quiet gentleness. When visitors wanted to pet a horse, it was Patton who offered his soft nose. Stallions tend to get prickly when people take liberties, but not Patton. He made it his particular job to show children and adults who weren’t sure what to make of such big animals how nice a horse can be. Yet, still waters run deep. Like the time Patton broke his fence and trotted up the hill to visit our mares. Or when he was the guest of honor at the governor’s Derby party and displayed his opinion of the police horses. Patton was very much his own horse. But whatever he did he was always the gentleman. Patton was a fortunate horse. When his value as an earner decreased, Governor Brereton Jones retired him to Old Friends where he enjoyed a secure, happy old age. At the end, thanks to Michael Blowen’s watchfulness Patton’s debilitation was diagnosed in time to prevent the suffering that would otherwise have come. Patton passed from his life as he’d lived it, peacefully. He will never pass from our memories and hearts. Patton’s page and the news release of Jan. 6. Sunshine Forever’s wise eye. Photo by Laura Battles. What to say about Sunshine Forever’s unexpected going? It is unimaginable. Though all living beings die, I think that without realizing it, we felt Sunshine really would be with us forever. He was a phenomenal race horse, winner of three Grade 1 stakes in a single summer, and the 1988 Eclipse Award Turf Champion. His robustness and dauntless courage stood out even from the champions of his day, recalling the sound resilience of the old time champions. 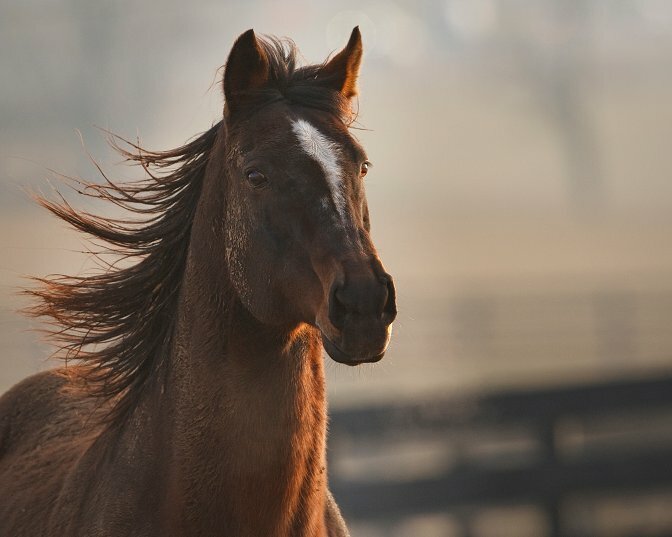 Breeding farms have a foundation stallion on which they build their success. 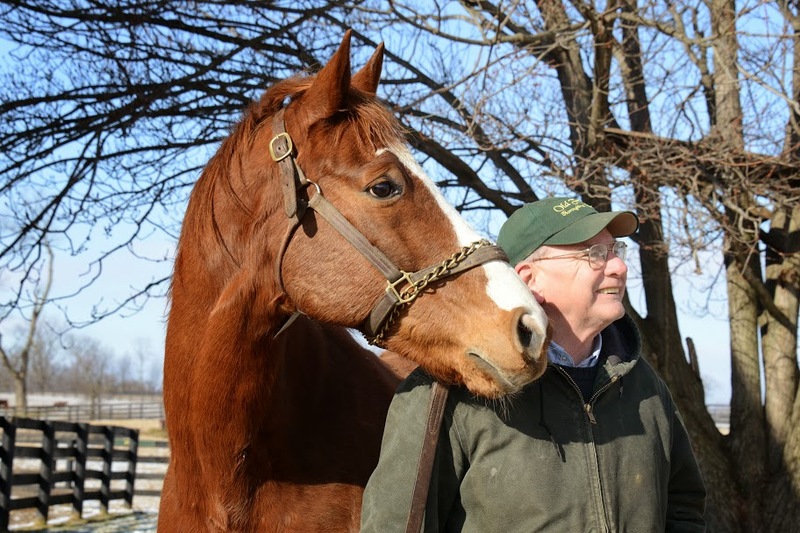 Though our retirees don’t breed, Sunshine Forever was, in several ways, our foundation. In 2004 he was our first stallion Old Friends retired, and the first we returned home from overseas. 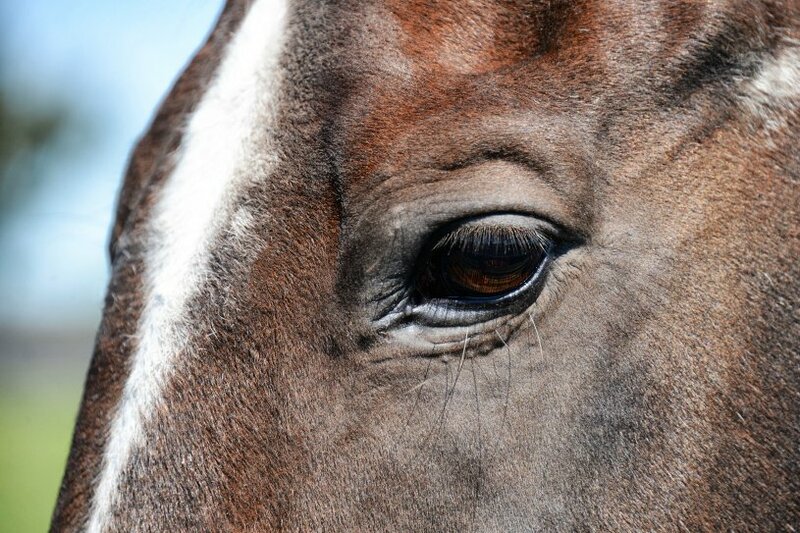 Human vision and caring created Old Friends, but our equine population has also shaped us. Sunshine set the tone for the tours. He was the first resident to allow visitors to feed him carrots. 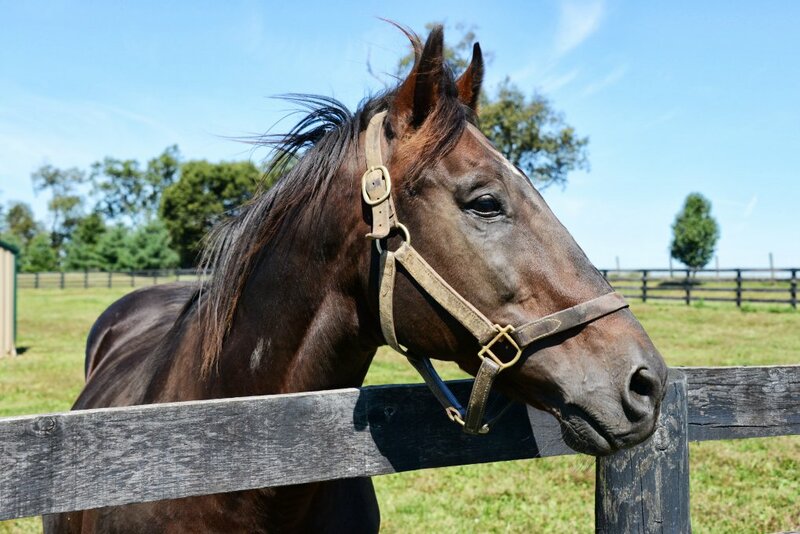 From his middle age through his old age, Sunshine Forever was at the very center of the farm, welcoming his fans graciously, winning people’s admiration and affection. He was right at the heart of all OF aspired to be and all it has become. Through it all, he was our founder and president Michael’s best friend. Other favorites came and went, but it was Sunshine who was always there for him, steady as a rock. Sunshine Forever was the most dignified horse I have ever known, yet to his friends and visitors he gave generously out of his abundant wisdom. To say Old Friends won’t be the same without him doesn’t begin to touch what his passing has taken from us. 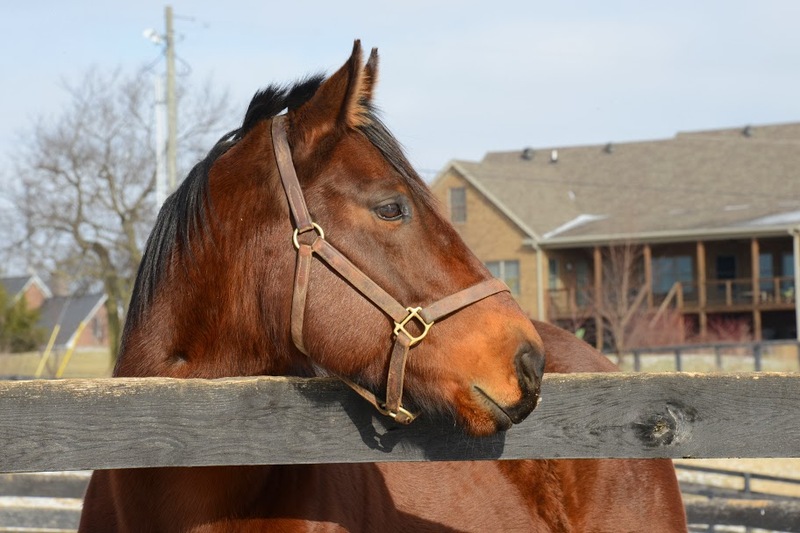 Sunshine Forever will always be our foundation stallion, a benefactor to all the retirees to follow. May some part of his greatness of spirit always remain with us. My favorite of all photo of Sunshine, by Equisport Photos. Sunshine Forever’s page and the news release of Jan. 7. I’d planned to post about some of the good things now happening, our TAA accreditation and grant, the care it will enable us to provide our residents, also the new paddocks and some of the horses who’ll come live in them. There’s much positive news to share, and I promise to post about it before long. Tonight, the losses are too fresh for enthusiasm. 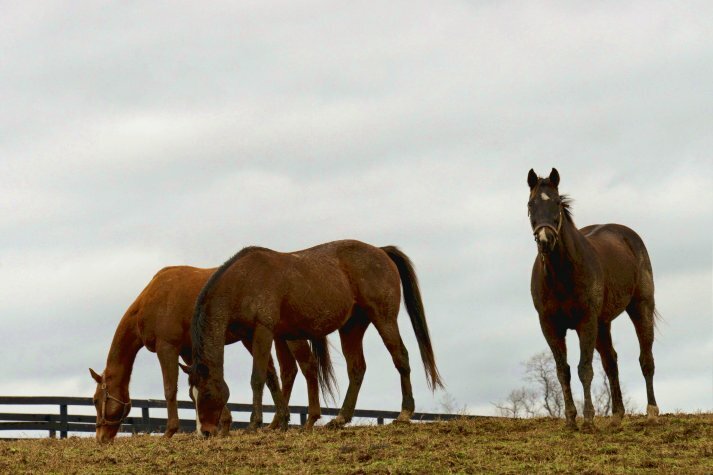 But as we move forward remembering Sunshine Forever and Patton, we have good reasons to hope that 2014 will be the best year yet for the horses at Old Friends. Ferocious Won, Bonapaw & Kudos. Photo by Laura Battles.